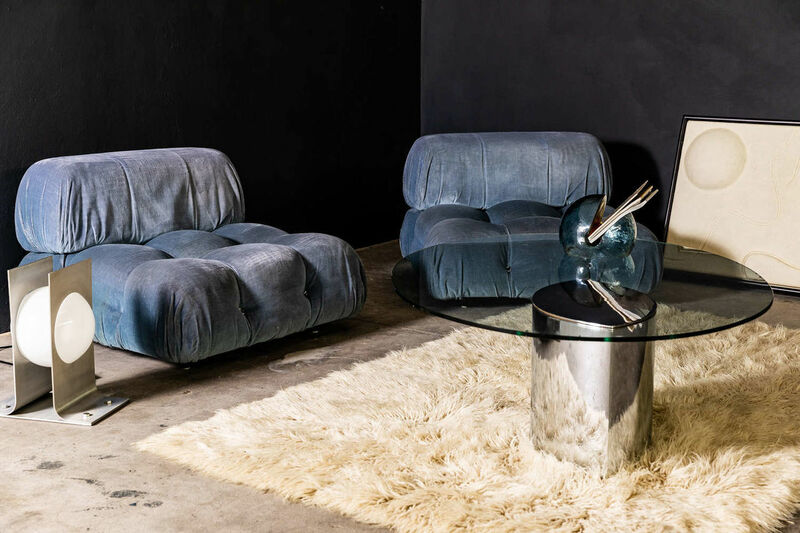 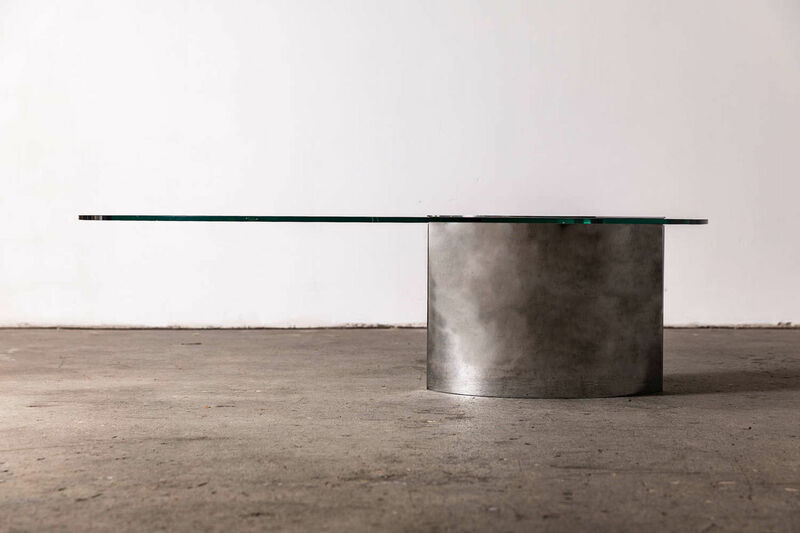 Lunario Table by Cini Boeri for Knoll | Castorina & Co. 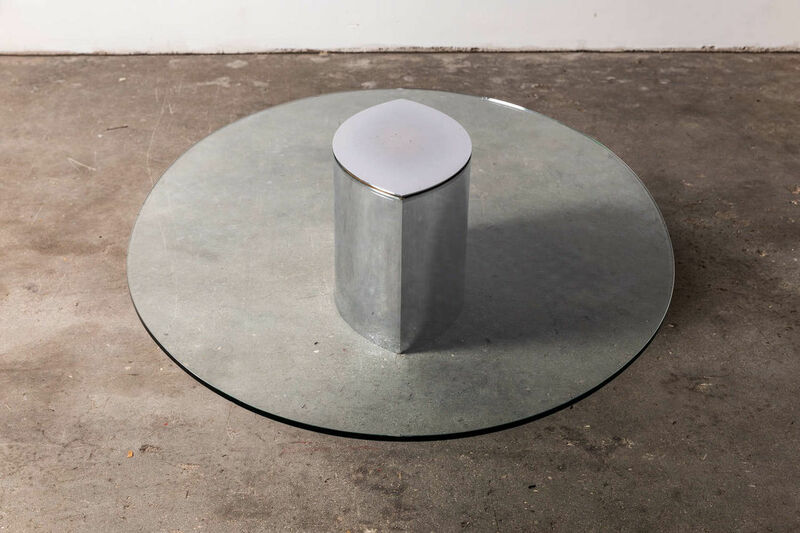 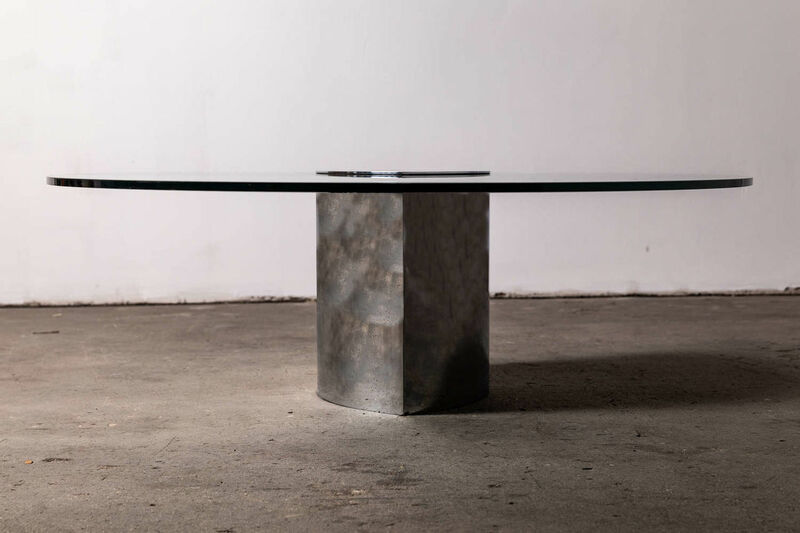 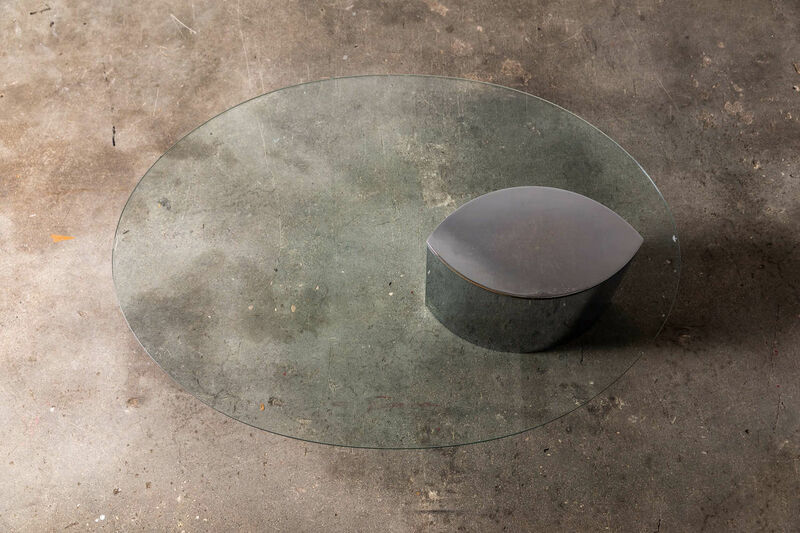 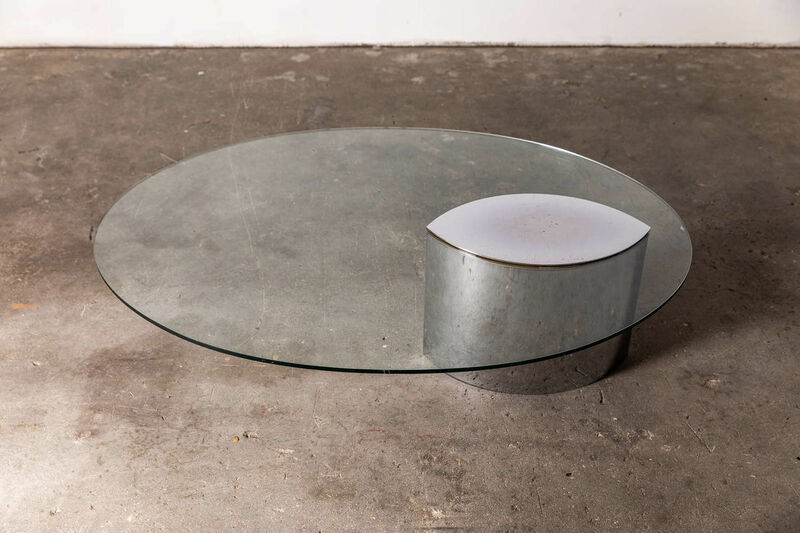 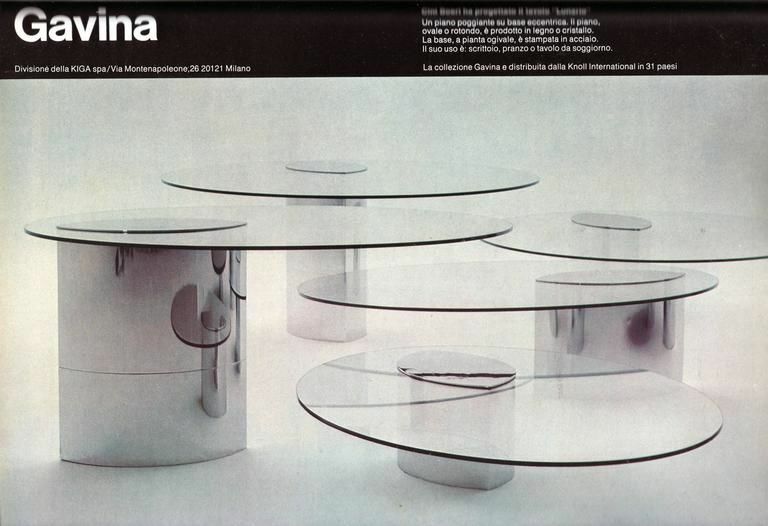 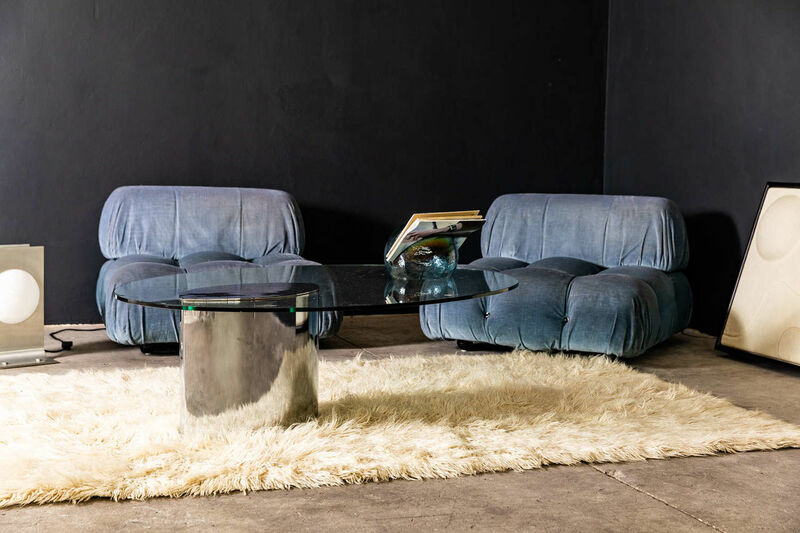 Elegant sculptural table designed in the 70s by Cini Boeri for Knoll. 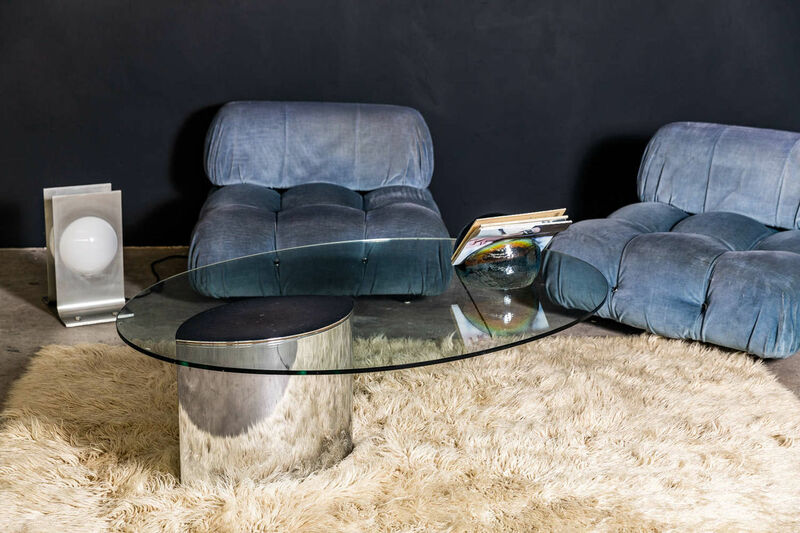 It features a cantilevered tempered glass top which is counterweighted by the heavily weighted polished stainless steel base.